I think secretly we all want to grow old disgracefully – I certainly do. So do a number of the residents of the Jacaranda Retirement Village. Meet Peggy, widowed with just her dog Basil for company. Her children David and Jenny have other ideas about where Peggy should be living and are ready to pounce as the slightest indication of dementia or even a fall. But Peggy is just simply existing in her beige apartment, with her beige clothes, living rather a beige life. her excitement for the week is either a visit to the doctor or seeing fellow resident Brian head off swimming. That is until Angie a childhood friend turns up at the village and starts to shake things up not just for Peggy but for the stalwarts on committees and the like. Angie takes Peggy under her wing, when she has that ultimate fall and gets some colour back into Peggy’s life with her clothes as well as her hobbies. Peggy does things she has never done before and embraces it all with aplomb and with much shock to her family. But Angie is hiding some secrets and it doesn’t take long for the roles to be reversed and Peggy suddenly sees life in a different way. This is a gentle book, that meanders along doctors appointments, committee meetings, aqua aerobics, almost the mundane aspects of perhaps what some people thinks of as retirement. It is all told humour and some stark reality about life with certain medical conditions and the process of ageing. It is all about life being lived whatever your age and limitations – basically the author is telling us there is nothing to stop you other than death! A skilful debut novel which draws on the author’s experiences clearly as a GP – (I only discovered this after I had read the book) and interestingly her setting, Australia was not so obvious to me despite perhaps the language clues and it too me until two-thirds of the way through the book to realise where it was set. (Again, the author UK born has moved to Australia). What it did show me that no matter where you are in the world, there is an expectation of how our aging population are being treated. Interesting to see what comes next from this author. 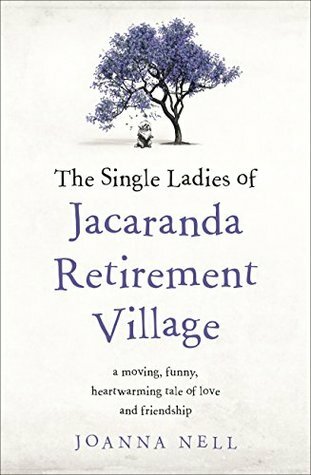 The Single Ladies of the Jacaranda Village is out now. Oh, this does sound fun! And seeing as I’m getting old myself, I’ll have to check this out. Thanks!